Daria Kasatkina advances into the second round at SW19 for the third year in a row after winning two close and tricky sets against Jana Fett, 6-2 7-5 in an hour and 26 minutes. The Russian either got broken or had to save break point(s) in all but two of her service games in this match. Kasatkina, who posted her best slam result by storming into the quarterfinal of French Open last month (d. Wozniacki, l. Stephens), came into Wimbledon after a decent 3-2 grass season, quarterfinal at Eastbourne (l. Kerber in third set tiebreak) and a second-round exit at Birmingham (l. Tsurenko). Yulia Putintseva was two points away from exiting Wimbledon in the first round but snatched the match away from Magda Linette in two hours and 42 minutes (6-3 3-6 10-8). This was her second-longest win of the season, having defeated #10 Sloane Stephens at Nuremberg in three-hours time. The Kazakh also posted a quarterfinal at French Open, defeating Johanna Konta and Barbora Strycova en route (l. Keys). Last week, she played her only WTA grass event of the season, losing to Donna Vekic in the first round. Putintseva has a 0-2 record in Wimbledon second round (2015-16). 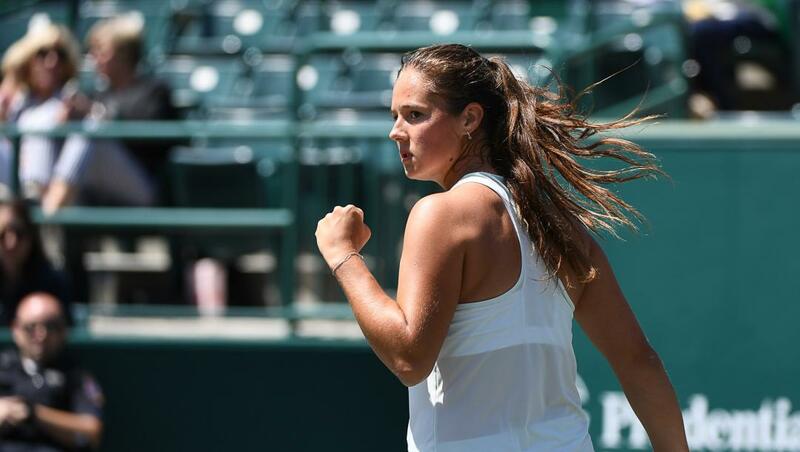 Kasatkina will walk onto the court as the favorite in her first-ever clash with Putintseva. The Russian has made it to the third round here in 2016, losing to Venus Williams in two hours and 42 minutes (7-5 4-6 10-8). On the other hand, Putintseva has a 0-3 record against top 20 opponents on grass. For more expert advice please go to tennis betting academy !